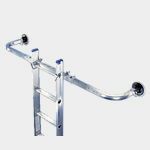 V Ladder Bonnet Protects glass and window frames from the pressure of the window cleaning ladder. Xtenda-Leg Replacement Shoe Hardware (set) Two each of half slotted caps and six screws. 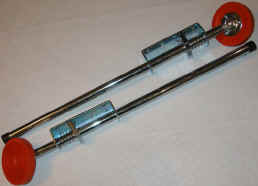 Metal Swivel Shoes (pair) Is designed to fit all extension ladders. 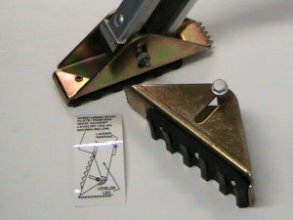 Adjustable so that spikes can be used on hard surfaces. 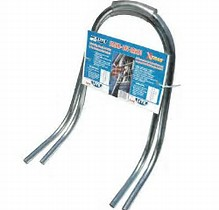 Rubber Shoes (pair) Rubber Ladder Shoes are rubber, slip on shoes that help prevent your ladder from slipping.